Pakistan's cricketer and former captain Javed Miandad will break all his relations with Mumbai bomb blast accused Dawood Ibrahim to help successfully conduct India-Pakistan 'Aman ki Asha' campaign. "I have instructed my son, Junaid to divorce his wife Mahrukh immediately on the spot by saying 'Talakh' thrice. I don't want to let the campaign of 'Aman Ki Asha' failed. 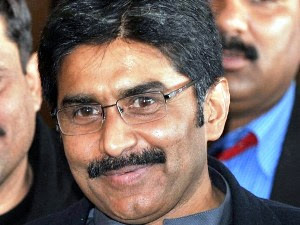 I also want to visit India to spread the message of peace," said Javed Miandad in a private television channel interview. Talking with CNN-IBN Chief Editor Rajdeep Sardesai, Javed Miandad said "I want to come to India. I also want to visit Ajmer to kiss the noble Dargah. After that I will tell Junaid to marry Mahrukh again. This he can do any time again and again whenever I want to visit India," said Javed Miandad. The Ministry of Home Affairs (MHA) granted visa to Javed Miandad, who shares close family ties with the India's most wanted gangster-turned-terrorist Dawood Ibrahim. Javed's son Junaid is married to Dawood's daughter Mahrukh. But, after huge chaos by opposition parties, such as BJP and Shiv Sena, Miandad avoided to arrive in India. However, inside his heart Miandad identified that he was wrong in making ties with Dawood Ibrahim. "Inside my heart I felt I was guilty by asking my son to marry Dawood's daughter. But it's not late today as well. I immediately called Junaid asked him to say talaakh, talaakh and talaakh on the spot. He obeyed my orders and now I am free and have no relations with Dawood," said Javed Miandad. Javed Miandad confirmed that terrorism is the biggest enemy of the world and it is sourced from Pakistan. He said that he was the enemy of terror attacks as much as India. He said "I will do one thing. I will take a machine gun in my hands and will stay on the border of India and Pakistan. Whenever any terrorist or Pakistani army man will try to enter in India's border I will straight away shoot him. That way I will contribute to the campaign of Aman ki Asha." 0 comments for "Javed Miandad to break relations with Dawood just to enter in India"